Sky, land and river: this Grand Canyon tour covers all angles! Sky, land and river: this Grand Canyon tour covers all angles! From an airplane, soar over the East Rim. Big windows give you the best views. 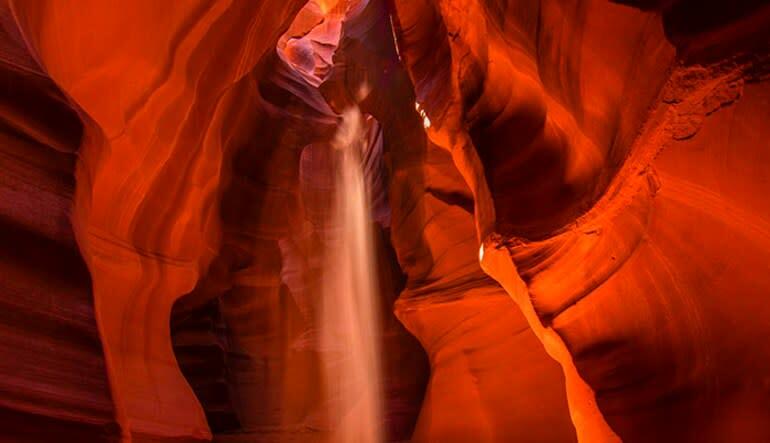 For the second leg of your tour—a 4-wheel adventure of upper Antelope Canyon. It’s likely to be the most magical ride you’ll ever take. Be awed by the labyrinth-like formations and sunlight beaming through the canyon slots. 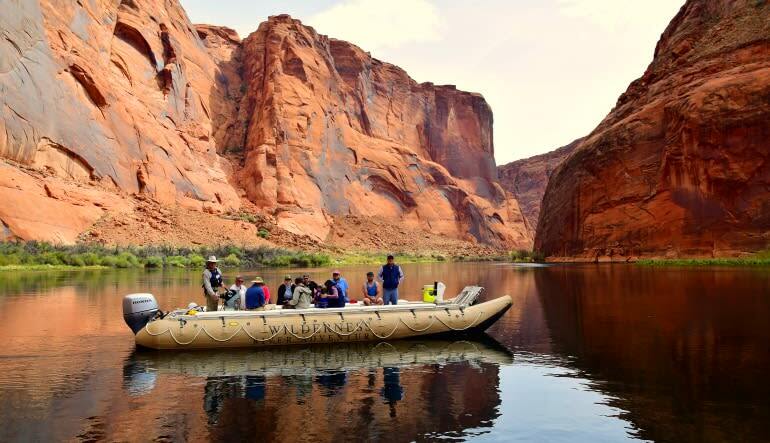 Finally, it’s a 15-mile rafting trip on the Colorado River. See the petroglyphs. They’re a window to the world of the ancient peoples who, for millennia, called these canyons home. Take a full-day tour of the Grand Canyon. Travel by sky, land and water! 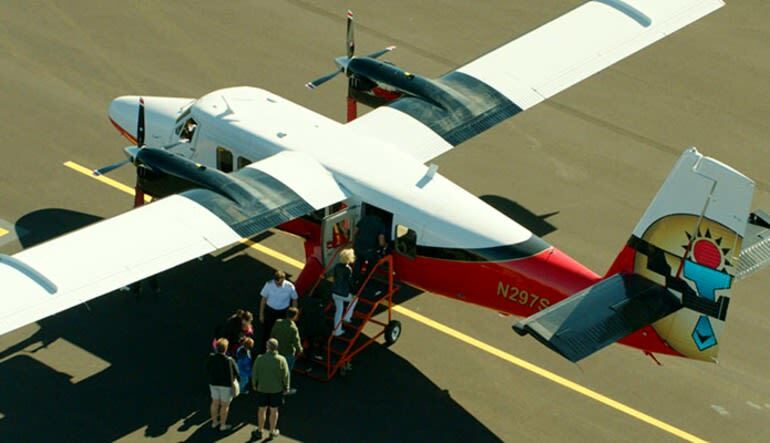 Begin with a one-hour airplane tour of the Grand Canyon’s East Rim. Travel in a Vistaliner airplane: high wings + huge windows = top-tier photo opportunities. For the second leg of your journey, soar from the canyon to Paige, Arizona. Touch down at Antelope Canyon for a 4-wheel tour. Travel deep into the slot canyon for 90 minutes. Be mystified by the alien-like scenery. 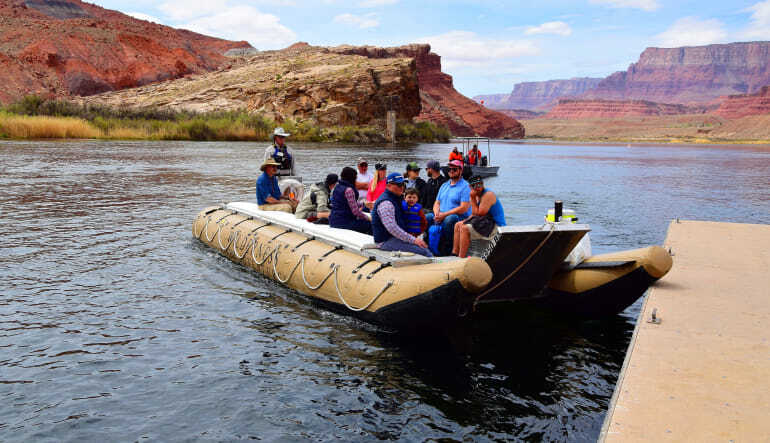 For your final stretch, drift 15 miles along the Colorado River in a raft. 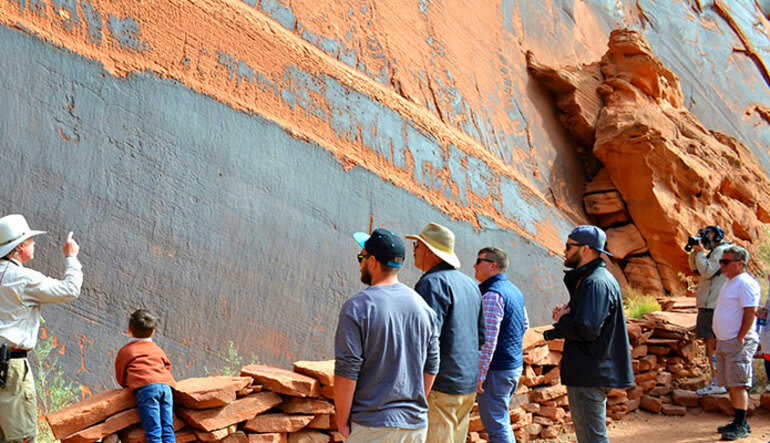 Drift past haunting petroglyphs and learn all about the ancient civilizations that etched them. Enjoy a pre-flight breakfast and a boxed lunch during the rafting tour. 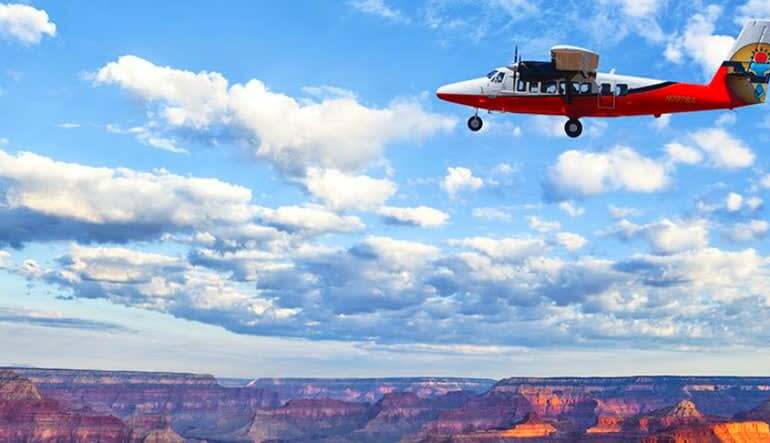 Receive return transportation to Grand Canyon National Park Airport. At a little over 12 hours, this is the quintessential Grand Canyon discovery tour. Book your adventure now!